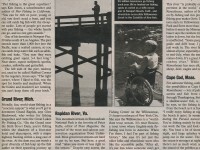 This is the only pier that I ever fished “before” its official grand opening. I had been eagerly awaiting its opening when I received an e-mail early in 2002 announcing that yes indeed it was finally open. Soon after, I headed down to the pier to try it out. What I found was unexpected: a smallish pier devoid of fish cleaning stations, adequate trash cans, bait cutting stations or even well designed railings. The pier was a major disappointment even though I was glad it was finally open. Overall it gave the appearance of an ill conceived, hastily constructed, Mickey Mouse-job. It surprised me because the East Bay Regional Park District normally does a good job with its piers. 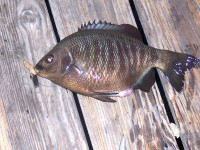 What was expected was a group of anglers fishing and they already had a few perch to show for their efforts. However, upon leaving I noticed a sign laying face down near the entrance stating that the pier was not yet open. And upon arrival back home I received another e-mail message, this one stating that there was some confusion about opening dates and that anglers might possibly receive tickets if they fished from the pier. A little confusing and it didn’t get any better during the next couple of months as anglers continued to use the pier and authorities kept saying it wasn’t officially open. A plethora of reasons were given for the confusion but no conclusive explanation was ever really received as to the cause of that initial delay (although a shutoff of promised funds may have been the reason). 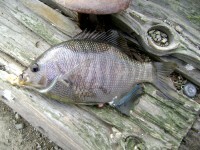 By the way, my first visit, on February 27, 2002, a short hour and a half trip, produced an unimpressive 7 fish: 5 blackperch, 1 bonehead sculpin, and a shinerperch. 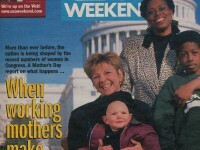 However, subsequent trips later in the spring proved to be much more productive. 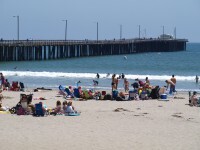 The pier is built on the site and remains of the old Santa Fe Ferry Landing, residue that still dominates the scene at the end of the point. It became a popular site for local fishermen as the railroad activities decreased in the ’70s but was partially burned down in 1984. 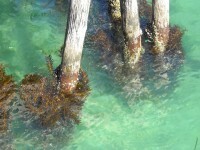 After that, the inshore section of the pier was removed and the pier’s use by anglers ceased. I do not think anyone today would say that it turned out to be the “crown jewel of fishing piers” but public relations rarely are accurate when it comes to promoting a product. After all, no one would have expected him to say that the pier would not be built as big as planned or that fishing might not be all that good. Environment. 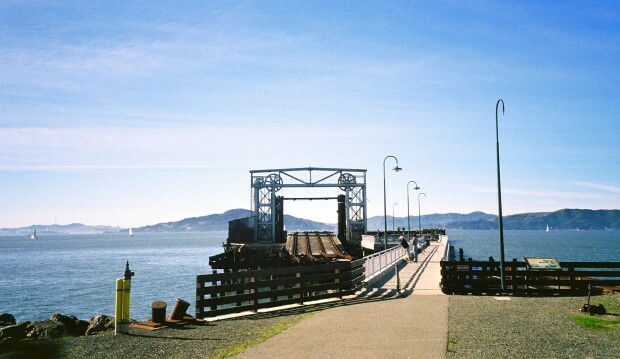 The pier itself and Ferry Point Park are part of the larger Miller/Knox Regional Shoreline area in Point Richmond. The pier extends 550 feet into the bay in waters that are home to perch, jacksmelt, kingfish (white croaker), brown rockfish, starry flounder, halibut, sharks and rays. In addition, these waters are prime migratory paths for striped bass, sturgeon and salmon during the appropriate seasons. The shoreline is rock-lined and there are quite a few rocks on the bottom to attract fish but for the most part anglers will be fishing the deeper waters hoping for larger fish. 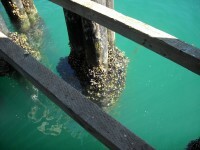 The bottom is mud, pilings contain some mussels (but mainly barnacles) and water currents can be strong when there is a strong incoming or outgoing tide. Fishing Tips. Most of the year anglers should expect the predominate local species to make up a majority of the catch. 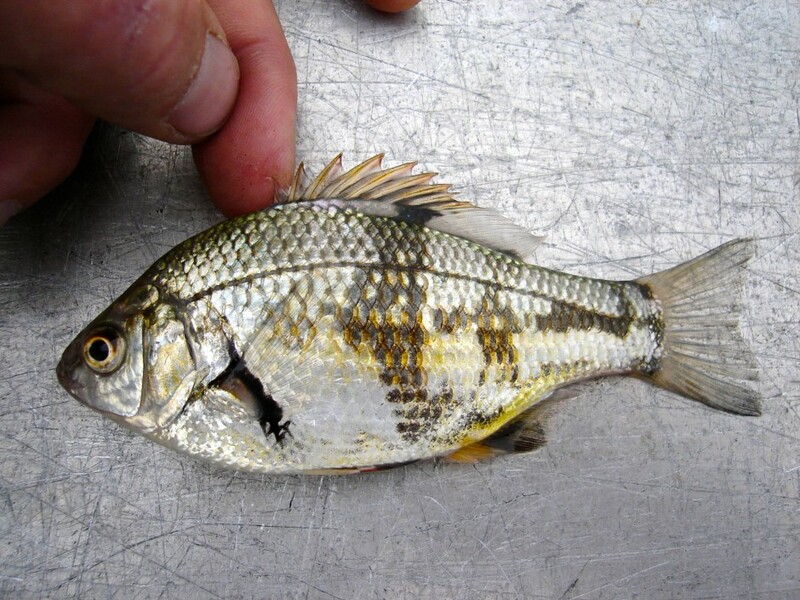 Thus winter and spring can see decent runs of perch—pileperch, blackperch, rubberlip seaperch, white seaperch, rainbow seaperch and some striped seaperch. Small hooks baited with pile worms will probably catch most of the perch, but grass shrimp, ghost shrimp, and small shore-crabs (look under the rocks) often work better for the large pileperch and rubberlip seaperch. Do remember to keep your hooks small—size 6 or 4—and your line fairly light (although when the perch are in a feeding frenzy it sometimes doesn’t seem to make much difference). 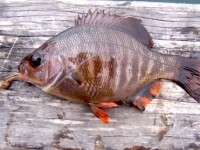 A few surfperch—calico surfperch and redtail surfperch—may enter the action but they will be far less in number. Later in the year, spring through fall, the smaller walleye and silver surfperch will show up, sometimes in pretty impressive numbers. Jacksmelt are a common catch and when one makes an appearance there will generally be more, in fact usually many, many more. Use two or three size 8 or 6 hooks baited under a float and be prepared to strike as soon as the float disappears under the water’s surface. As often as not you’ll have two or three fish on your line at a time. Why do I say no more than three hooks even though the common Sabiki-type bait rigs contain six hooks? Easy! Three hooks is the maximum number you can use in San Francisco Bay. Flatfish are always a possibility with halibut being the most hoped for prize and some years will see quite a few of the flatties. However, a number of smaller flatfish may also be encountered—sanddabs (some years during the winter months), sand sole, and starry flounder (primarily in the winter and spring months). Most of the flatfish will be caught on pile worms, ghost shrimp, grass shrimp or cut anchovies. If you’re seeking out the larger halibut catch yourself a small smelt, shiner perch, or dwarf perch and use it as a live bait with a sliding sinker rigging. Kingfish (white croakers) seem to increase in numbers each year and will be one of the most commonly fish caught. 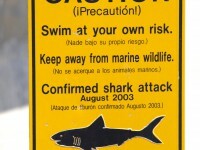 Unfortunately, they should not be eaten in these waters, or if eaten, only in very small quantities. They are most commonly caught on a high-low rig baited with cut anchovies although pile worms, shrimp and other cut baits will also attract in some of the non-discriminatory kingfish. From spring to fall, young anglers can expect to find a hoard of small fish—brown rockfish, topsmelt, shinerperch and a few dwarf perch—down around the pilings. Drop a size 8 hook baited with small pieces of pile worms and you should get almost non-stop action. However, mixed in occasionally will be small cabezon, blennies, gobies and other odd creatures, some not so small, so be prepared. Striped bass are, of course, one of the most popular species. Best times will be the spring and fall months with a variety of baits and lures producing the fish. Favorite baits include cut anchovies and sardines, pile worms, ghost shrimp, bullheads (staghorn sculpins) and mudsuckers (longjaw gobies). Popular lures include Fish Traps, Hair Raisers, Rapalas and Kastmasters. Another prize fish is white sturgeon. Winter and spring, especially when there is a good run-off from inland waters, may produce an occasional sturgeon but they are not common (although two sturgeon were reported during the first month the pier was open). Mud shrimp, grass shrimp and ghost shrimp produce the most fish although herring and herring eggs will also produce fish when the herring are in the bay. Be sure to have stout tackle and a net with you if you plan to fish for the elusive diamondbacks. Most common, especially during the spring through fall months, will be brown smoothhound sharks, leopard sharks and bat rays. 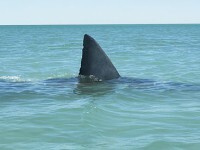 The sharks prefer cut bait, especially baits that are oily or bloody—anchovies, sardines and mackerel. The bat rays prefer squid but will also hit fish baits. Since the pier is near deep water, a number of 7-gill sharks will also be landed and some may approach pretty good size. 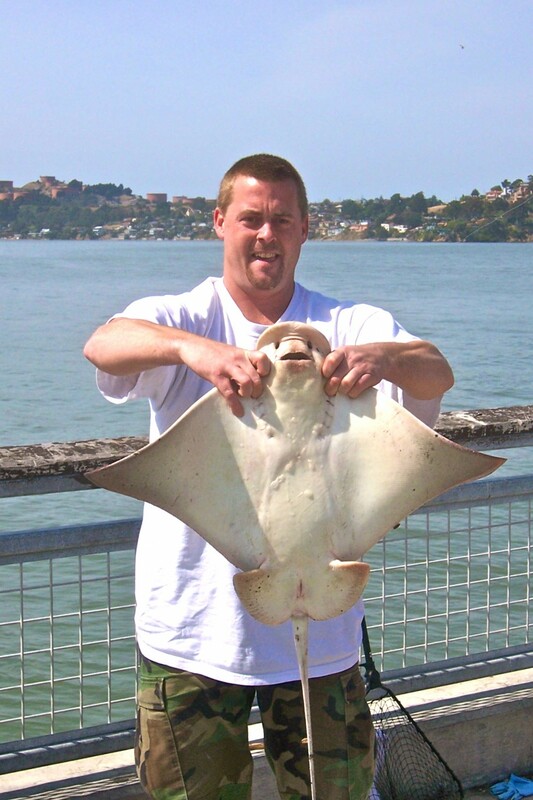 As with all sharks and rays, have a medium to heavy size rig and a way to bring them up onto the pier. Finally, there is the possibility of seeing king salmon passing through the area, generally in the fall months as they head inland toward their birth streams. 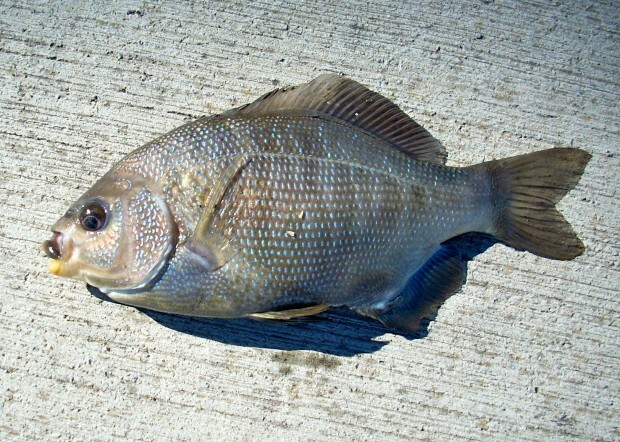 Although common in the area, few will be hooked or landed. Salmon generally have stopped eating by the time they reach these waters and (wisdom has it) can only be hooked by lure. Since few anglers use lures, or specifically seek out the salmon, it stands to reason that few of the trophy fish will be hooked. History Note. This pier is built on the remains of the old Santa Fe Ferry Terminal that was the western terminus of the Atchison, Topeka, and Santa Fe Railroad. As the story goes, Augustin S. MacDonald had the vision of the site as a port and railroad terminal. It was he who broached the idea to the movers and shakers at Santa Fe. They apparently were receptive when they found out it was 12 miles closer by rail than the Peralta Street Terminal for ferries in Oakland. On July 4, 1900, after construction of ferry slips and tracks to the site, the Santa Fe inaugurated service by delivering 200 passengers from San Francisco to Point Richmond on the Santa Fe’s first ferry, the Ocean Wave. After arrival, many of the people boarded the railroad’s first through train to Chicago. 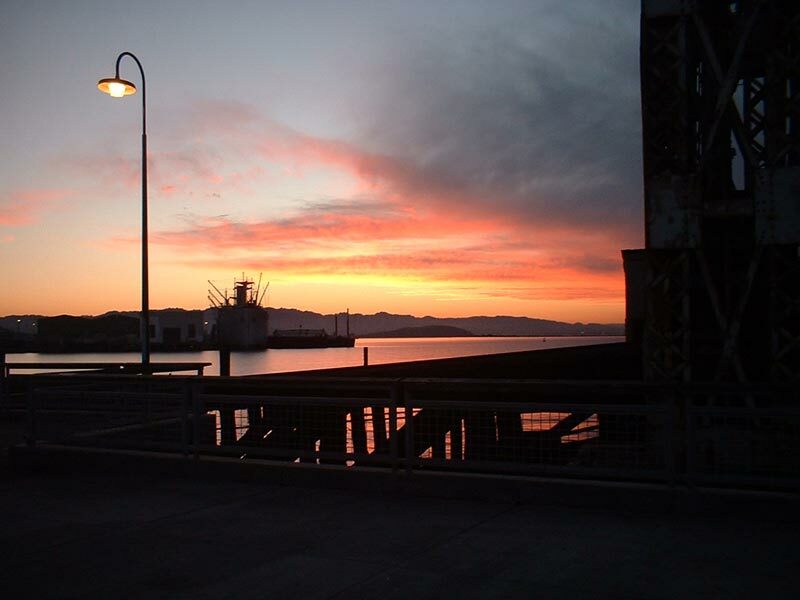 To handle freight connections, terminals were built at the foot of Channel Street in China Basin, a “car float” slip was built adjacent to Pier 54 in San Francisco, and further landing facilities were constructed in Oakland and Alameda. Connections were made to the Northwest Pacific Railroad facilities in Tiburon. For three decades these various terminals (passenger, car and freight) were busy with traffic—but that would change with the opening of the Bay Bridge in 1936. 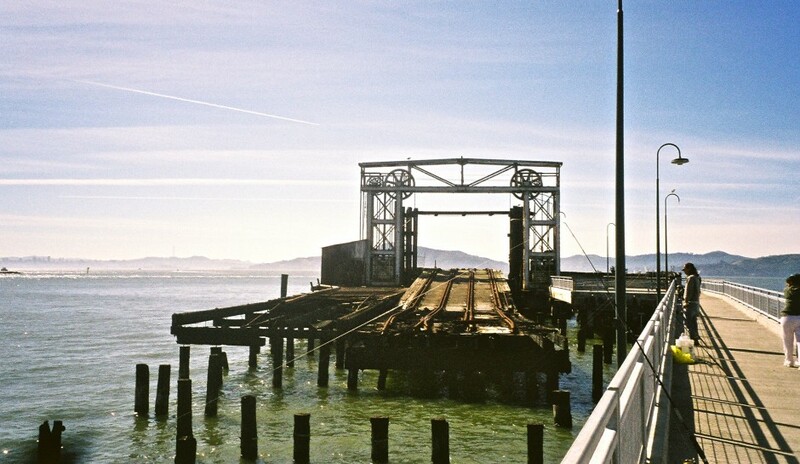 Nevertheless, even though the Santa Fe discontinued its own passenger ferries in 1933, ferries and other boats transported rail cars, cargo and people from the terminal to San Francisco until 1980 (and nearby sat the Southern Pacific Golden Gate Ferry Terminal which operated during the 1920s and 1930s). 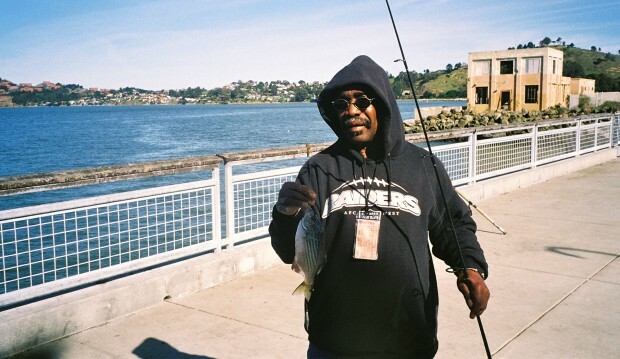 During much of the pier’s history, local anglers with the know how and connections were able to go out and catch fish at the pier. Later, after the demise of the ferry operations, it became an even more important home for local fisherman—until the fire in 1984. Since that time local fishermen repeatedly spoke of the need for a new local pier and apparently the East Bay Regional Park District listened. 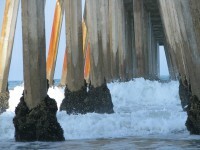 In February of 2001, the Wildlife Conservation Board announced the final grant ($500,000) needed to complete the pier project that had been in the works for nearly ten years. 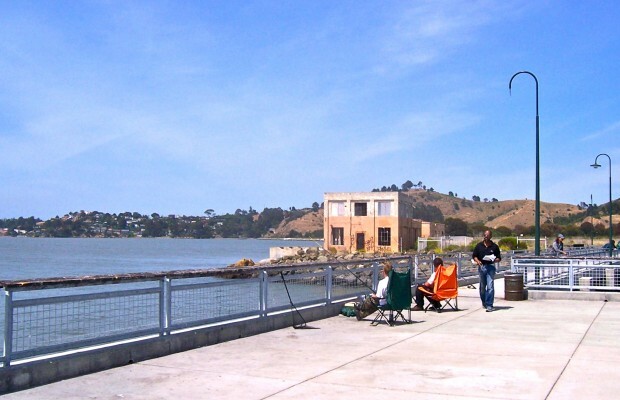 The cost of more than $2,000,000 includes rehabilitation of nearly 3,000 square feet of structure area—replacement of wooden piers and steel piles—and repainting of the historic gallows structure and machinery house (as well as interpretive signs showing the history of the pier and how the machinery worked). Money for the project came from the Wildlife Conservation Fund, the California Coastal Conservancy ($492,000), Caltrans ($376,000) and funds raised by the East Bay Regional Park District itself ($713, 000). Facilities: The pier includes lights but little else. The park itself contains restrooms near the parking lot. The park, by the way, appears a favorite place for people to bring their dog for a romp as well as people who like to fly kites. Handicapped Facilities: Railings are 42 inches high. How To Get There: From I-580, there are two main Point Richmond exits, Canal Boulevard and Castro Street (also the south terminus of the Richmond Parkway). Take either into the center of town where you should see Dornan Drive and a tunnel that says Ferry Point. Go through the tunnel and continue out to the end of Dornan Drive. The park is intersected by Dornan Drive and Brick Cove Road. 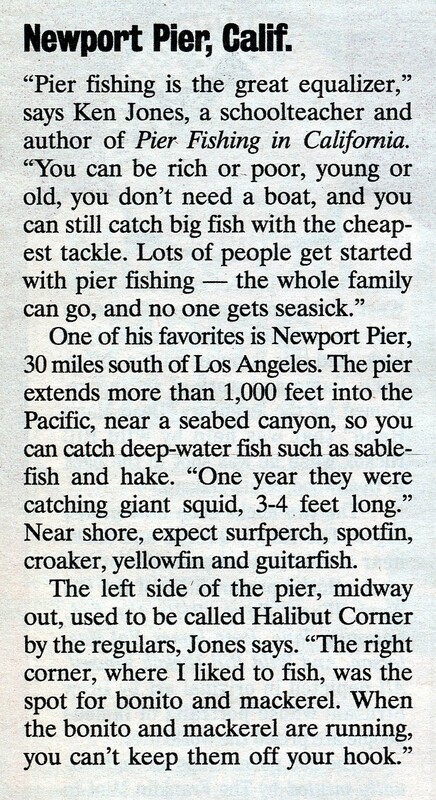 Posted in Daily musings... and tagged with California piers, leopard shark, Pier Fishing in California, pierfishing, Richmond Ferry Point Pier, saltwater fish, saltwater fishing. RSS 2.0 feed.